There’s something about kicking off a Monday with a race. Of course, that’s not what makes today special. Today is about remembering those who have lost their lives while protecting our freedom. I enjoy the freedom I have in running down my street, or going to knock out speed work at the track, or head off to a race. I don’t want to take it for granted, ,and today I wanted to keep that focus during my race. I reminded myself to run for those who couldn’t. With a break in the rain, we were off. I did wear my Garmin, and decided to track my mile splits. After the first mile, I kicked it up a notch. Somewhere between miles 2 and 3, the rain started again. I didn’t let that slow me down. I was struggling and I knew I wasn’t going to set a PR, but I took solace in the fact that I was able to mostly knock out some negative splits. I was able to pass a few runners, and only was passed by one that I remember – and she was the Master’s winner. My splits (according to my Garmin) were 8:25, 8:03, 7:59, 8:07 (water stop), 8:04, 8:01, and 7:35 for the last 0.2. My official finish was 50:44 which was enough for an age group win. I’d like to say I’m okay with my overall time, but that would be false. It’s hard to look at my time I ran last August – which was faster – and say well, that’s just fine. It doesn’t help that my weight loss isn’t going as planned either. So today I had my pity party, which mostly consisted of self-doubt and a few tears. That may seem silly, but I’m being real here. I’m thankful for a husband who can lift me up when I’m down on myself. The hardest thing for me to understand though, and it really baffles me, is how I have only set my record times in the middle of high mileage training for a marathon. I set PRs in both the half and 5k back in March one month between two marathons. How does that happen?!? Now it’s time for me to move on from my doubts and focus in on some speed. I’m looking for a few 5 and 10ks to run before my official marathon training starts. I’m not ready to give up on my dream. 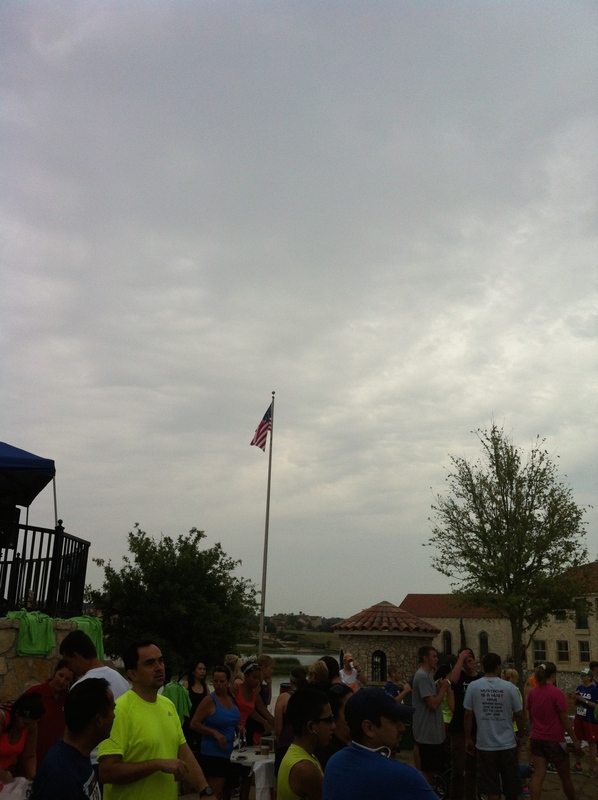 On Saturday, I ran the second annual Heroes of Midlothian 5k. You can read about last year’s race here to know more about the background and the foundation. Three weeks post OKC marathon and I did not set a PR. That’s okay. 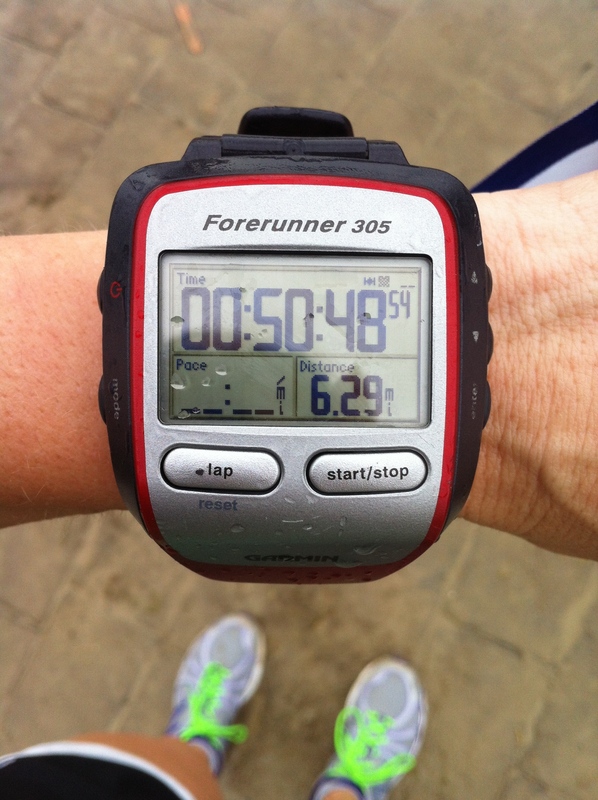 I went out too fast, looked at my Garmin way too many times, and did too much thinking in the last mile. I started planning how many distances I would tackle before I hit a new age group in August. Apparently I lost some of my focus in doing so. Oops. I had a great time, though, all for reasons not related to my race time or place. He then jumped over for a picture with my husband. Note the bike tire making its appearance as well. 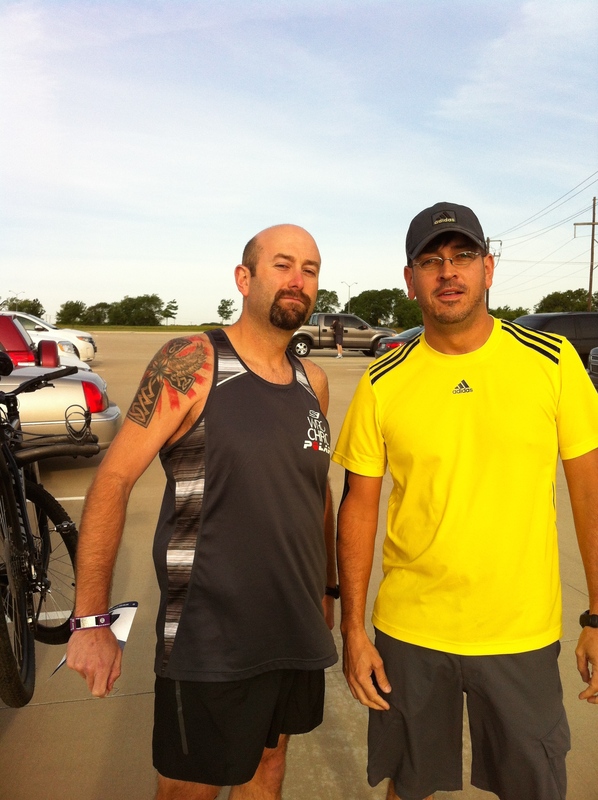 We then met up with my dad and I ran into another running friend from Sherman. Our daughters have been friends for about five years and she started running a couple of years ago. She did this race last year too. Her sister lives there and they both run. 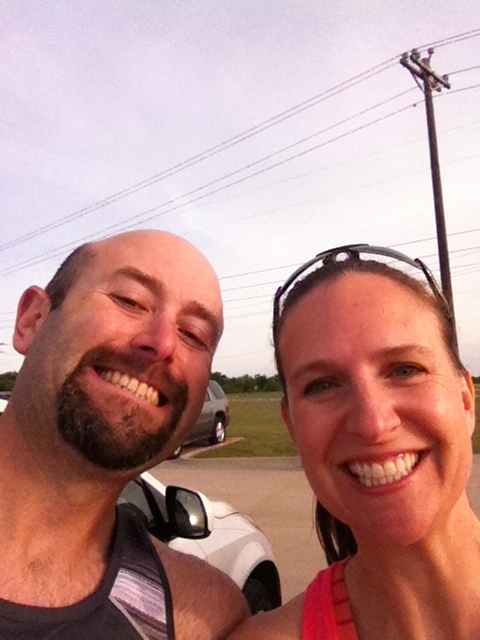 I think it’s funny that we met up at a 5k so far away. Small world. After I finished (23:31) I had a guy behind me tell me, “I was trying to catch you.” I guess it was a strong finish. I laughed (as much as someone can right after a 5k) and headed back around to cheer the others through. My dad knocked down a new PR with a time of 28:08 and placed second in his age group! My other friend also set a PR and placed second in her age group! I heard someone ask my dad how he got started running and he pointed to me. He told them I may run marathons but my biggest accomplishment was getting him to run. Three years ago he was walking five days a week on the treadmill – motivated by a weight loss contest at work. I told him he could do a 5k by working in a few minutes of running time and building on that. He started the Couch to 5k program and was hooked. 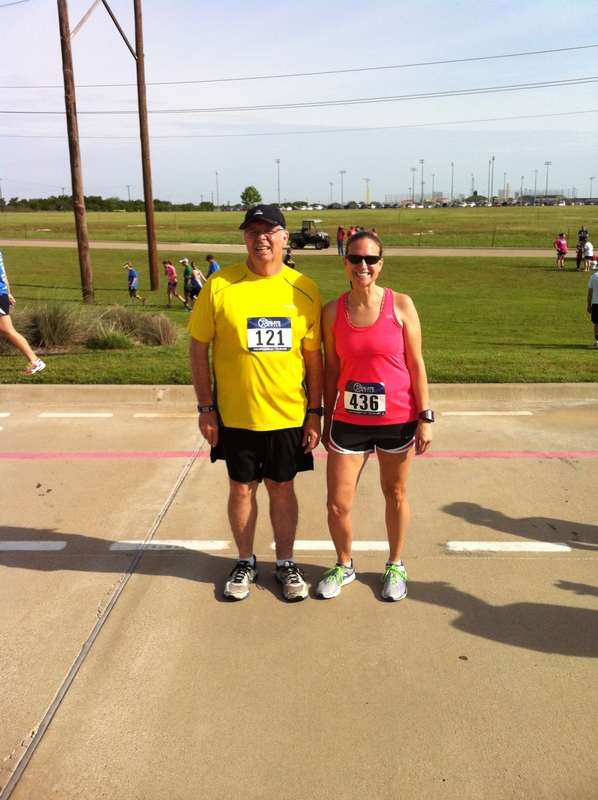 I’ve watched this retired football coach progress from walking to a 5k, to completing several 10ks, and he is now looking for the right half marathon. I tell you this because he once said he would never run farther than a 5k. Honestly, it doesn’t always start that way. I didn’t enjoy my first run – and many more after that. But it’s that way for me now – as a general rule 😉 and I love seeing that spark ignite in others. Don’t count yourself out. You can do much more than you think is possible. Last week I shared my big goal (and fear) for my next marathon season. Even though I won’t launch into a training plan until August, I know I need to focus now on a few things now to get ready for that training season. One of my primary focus points is to build strength. This is something that is important for runners of any level – beginners and up. Strength will translate into speed. Not only that, but it’s beneficial for injury prevention. Strong muscles respond better to the rigors of training. When I don’t strength train on a regular basis, I notice my form gets sloppy. Just last week I discovered if I run tall, I can breathe easier. Genius. Instead of doing my usual routine (that I’m bored to tears over now), I found this eight week routine from Coach Jay Johnson. I’m working on the second week right now. The end of this eight weeks will put me near the beginning of marathon training. Side note: I recommend to sign up for his newsletter and follow him on twitter for lots of additional useful information. In addition to strength, I’m also doing more cross-training to give my leg muscles some variation. The impact of running my neighborhood – up and down hills – can be taxing. I scratched cross-training for marathons, but I’m back on the stationary bike and jumping rope now. Some days I run a few miles in the morning, and ride the bike in the evening. I plan on working in some plyometrics along the way. I also tried this yoga video on Saturday. I’m pretty much a beginner and not real sure what to think other than it requires some patience. If you’ve had experience with yoga as a runner, please let me know your opinion. Saturday, I’m headed to my hometown for the Heroes of Midlothian 5k. My dad will be running it too. This will be my first time to run fast since the end of March, so I hope my legs haven’t forgotten how. Recovery weeks are good for me. Once the soreness from the race has faded, I start to get excited about my plans with running. I enjoy taking the time to rest, and once my appetite has settled down from the marathon, I’m not constantly thinking about food. 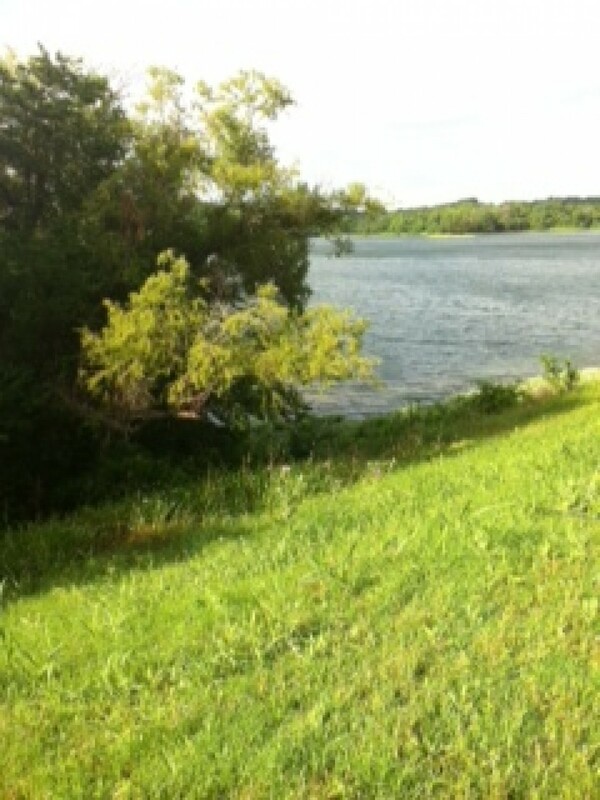 Before Oklahoma City, I started formulating my general plan for summer – my marathon off-season. I have a pretty big goal that I want to accomplish this fall/winter. It’s going to require some changes and hard work. I want to qualify for the Boston Marathon. I know this is going to take a lot of work and I’m not scared to work hard. I mean, come on, I have four kids. But I have to admit, I’m a little nervous about putting all this effort into something and failing. So I’m just going to put that fear out there. Now it’s time for action. I started last week by taking recovery seriously. I let my legs rest with three days of running and low mileage. I also started to work on my nutrition. That’s been my downfall and I think it’s the key to my succeeding in this goal. I’ll focus more on the specifics later, but right now I’m trying to get rid of the marathon weight gain. I feel like a salad bowl because I’ve eaten so many vegetables. I will focus on strength and speed to get my training paces down some more. I started an eight week strength routine, so when marathon training officially starts, I’ll be ready. Speaking of marathons, don’t forget you can early register for the Houston Marathon beginning at midnight tonight if you meet certain time qualifications. Here’s the link with all the info. If you’re wondering what the big deal is, you can revisit my post about it from January. It was a great race that I’m excited to go back to. Since I’m one of the race ambassadors, you will definitely be hearing more about it in the coming months. For another piece of good news, if you voted for me for Team CHOCOLATE MILK, thank you! I received enough votes to become part of the team. Last week I submitted my eligibility paperwork and now I’m just waiting on my gear.